Microsoft announced the availability of the Windows 10 automatic updates for PCs and tablets recently. Because of this free update, the company is now confident in recommending the use of Windows 10 to all organisations. Windows 10 update also rolls out to Xbox One. Soon, it will also be available to select mobile phones. It’s typical that you use your phone to find your device. What if it’s your laptop that’s missing? Well, you will need to seek help from a third-party platform to find the location of your unit. No version of Windows can assist you with such problem. Not today. Windows 10 offers this feature now. Remember to enable the “find my device” function and it can trace the last identified location of your system. Of course, you are using a different laptop as you do this. No problem, just sign in to your Microsoft account. Windows from your computer uses your time zone. But if you travel from one country to another, you will need to change it so you will not be disoriented with time. With this Windows 10 update, this is not a task that you will need to complete manually as it does this automatically. Go to “Settings” then “Time and language” and choose the “set time zone automatically”. Windows phone owners are happier with this Windows 10 update. Using Cortana, you can receive missed call notices and you let the caller know what you are doing and why you missed the call by sending a text message. Cortana will automatically make use of your phone and your number to respond. There are more new features to enjoy with this Windows 10 update. Go ahead and discover them! 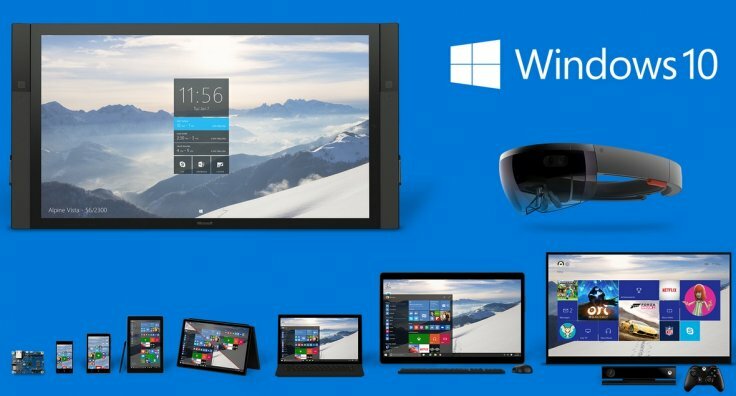 Buy Windows 10 Home or Pro in 32-bit or 64-bit here!